Despite its ongoing fracking boom, the U.S. added more new wind capacity in 2015 than natural gas, according to new data. "With careful siting and outreach to the local community, wind farms can be built in a fraction of the time it takes to construct coal or natural-gas power plants," the Natural Resource Defense Council notes. "A 50-megawatt wind farm can be completed in less than a year." 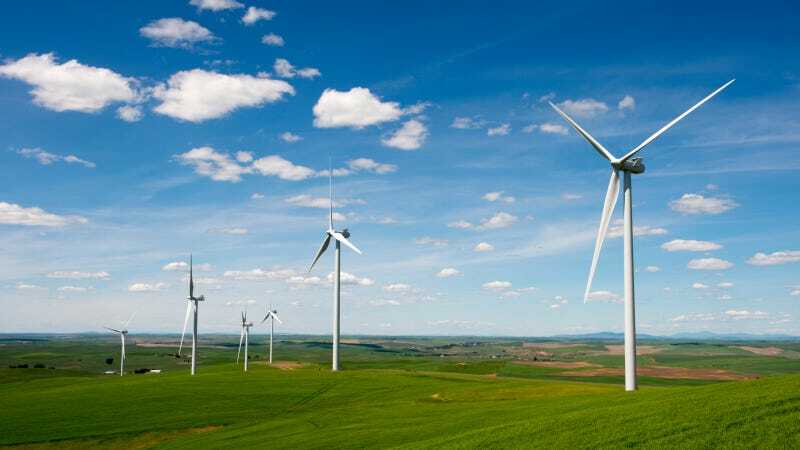 The EIA noted that uncertainty surrounding the the federal production tax credit (PTC) over the past several years led to recent fluctuations in annual wind additions. Texas added the most new wind capacity in 2015, followed by Oklahoma, Kansas, and Iowa. Wind still substantially trails natural gas in overall generating capacity in the U.S. But the news comes as the International Energy Agency announced this month that there is now more wind generation in the world than nuclear. It also comes as production continues on what will be the largest wind farm ever built in America, to be located in Carbon County, Wyoming.